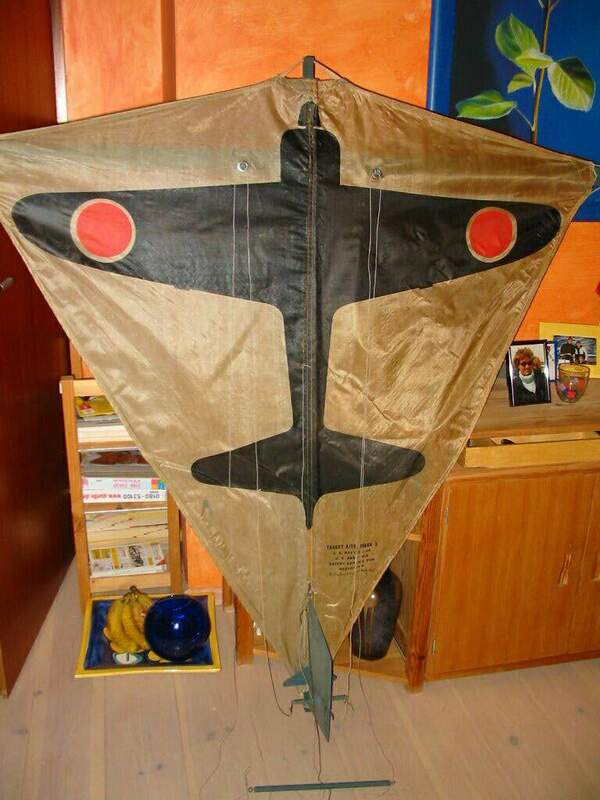 This particular kite has a most unusual rudder assembly. Compare it to those shown in the Navy Manuals and Mike McMullen's collection and you will see that Frank's kite is something new. 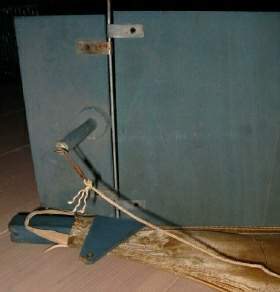 The earliest kites had a crosswise dowel as a tiller passing through the rudder to which the control lines were attached. 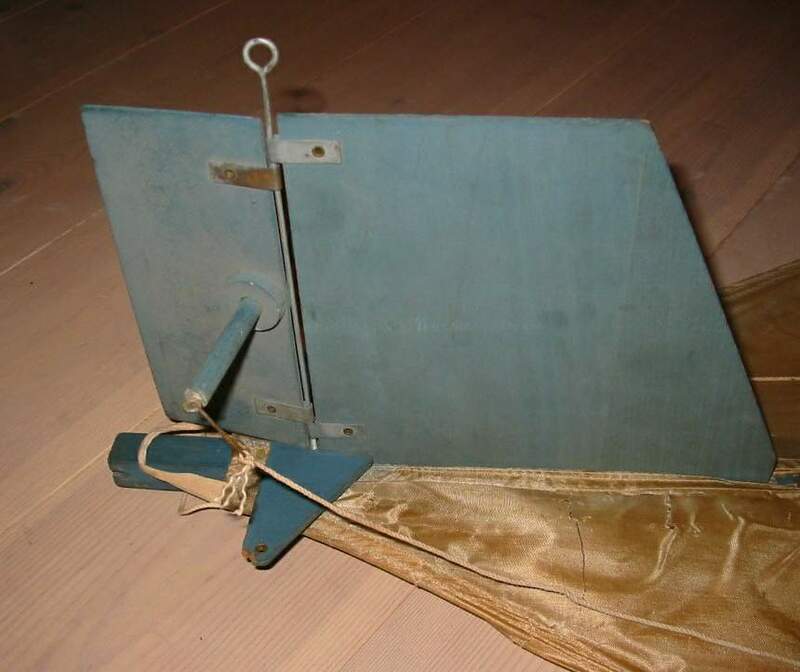 Later models had the "shavetail" rudder version which used a flat piece of plywood cut into the shape of a triangle as a tiller. 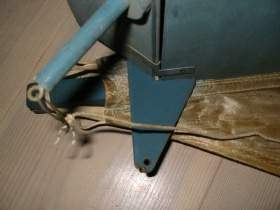 Frank's kite has both forms of tiller; one installed as a tiller, one attached below the fin and fixed to the frame. 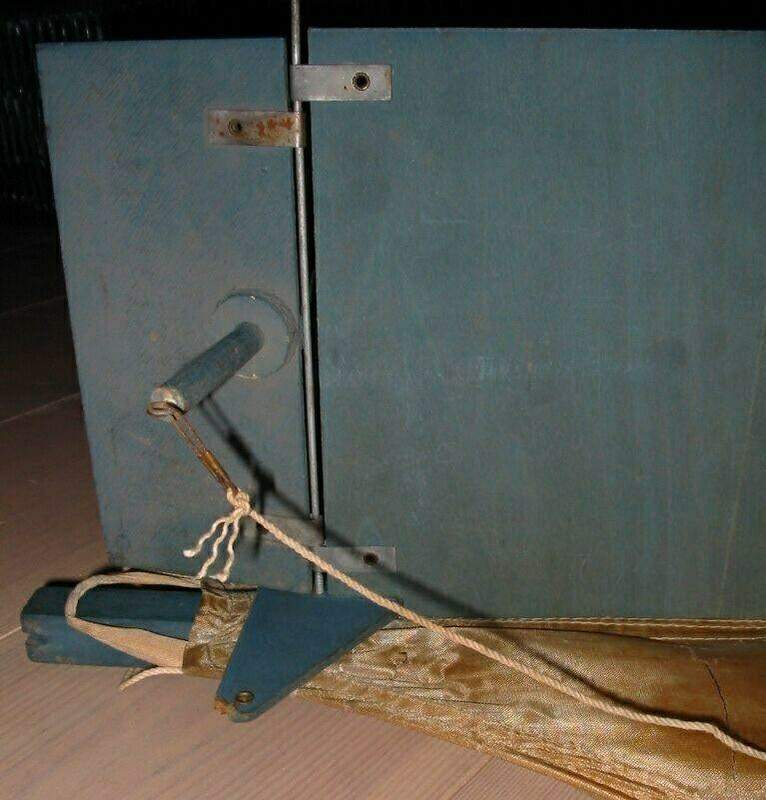 I'm not sure what this could have been used for. Perhaps it was just a handy point to attach the control lines when training with the kite rudder "unhooked" as described in the 2nd Edition Training Manual (First Lessons).